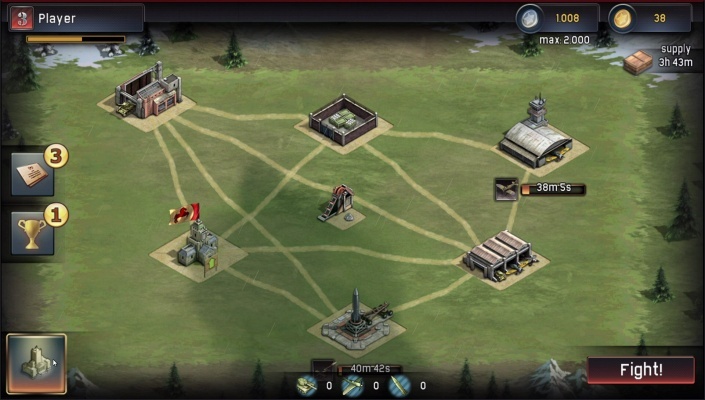 War Conflict is a real time strategy game set within World War 2 where the battle for resources will test even the most experienced tactician. 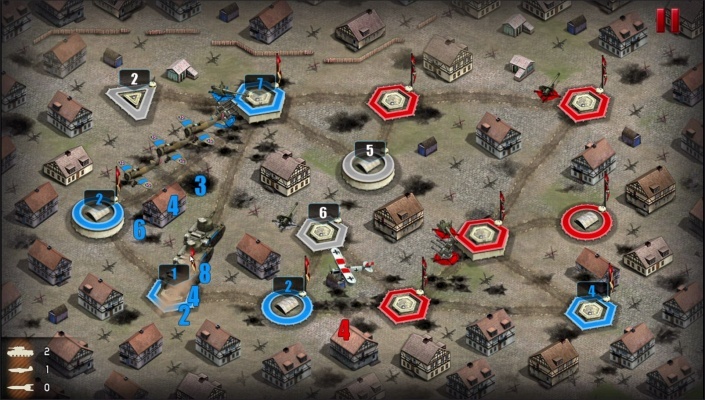 The game allows players to create a main base of operations and further develop their arsenal of available firepower from a selection of vehicles of the four warring nations - USA, USSR, Germany and Japan including well known war machines like the American Sherman tank, the famed Russian IL-2 aircraft, anti-aircraft guns and even ballistic missiles like the dreaded German V-2 rocket. 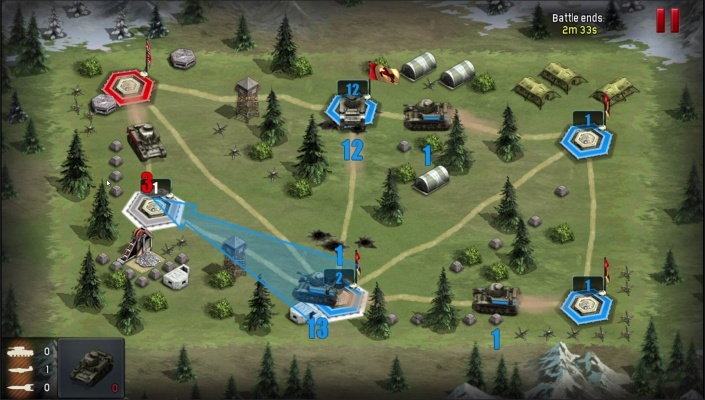 War Conflict is focused on taking enemy fortified territory and managing resources to build and upgrade a players available military assets. 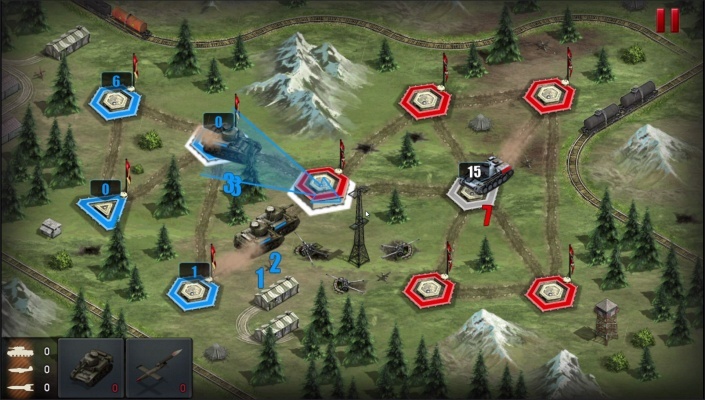 Armored vehicles such as tanks can be used to attack and capture enemy bases and can destroy enemy fortifications. 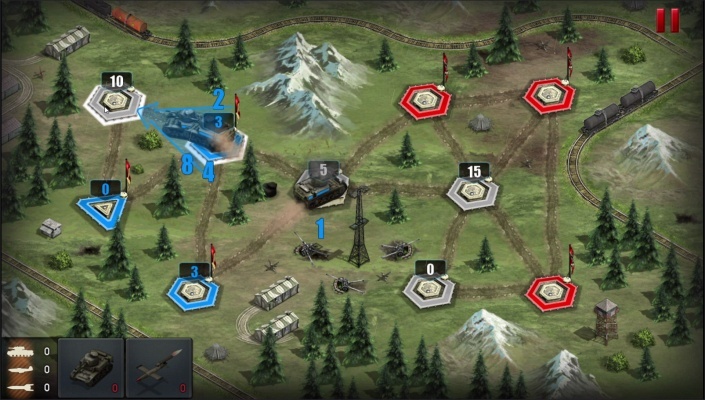 Longer range assets like rockets can be used to degrade turret and machine gun tower defenses to help improve the chances of success. 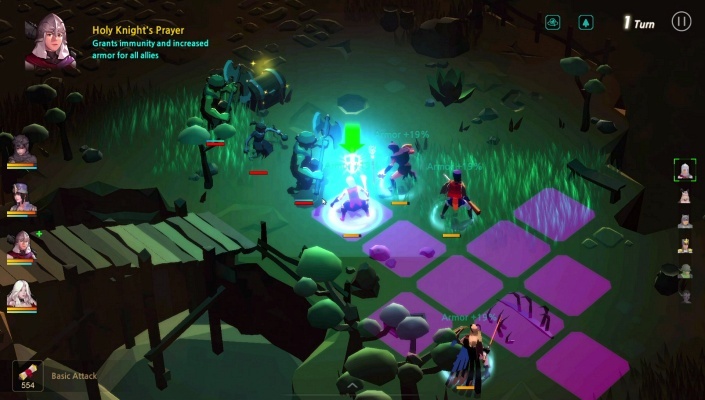 Players will also need to fortify their own base from impending counter attack and carefully plot layout and tactical advancing moves to gain the upper hand on the opposing force. 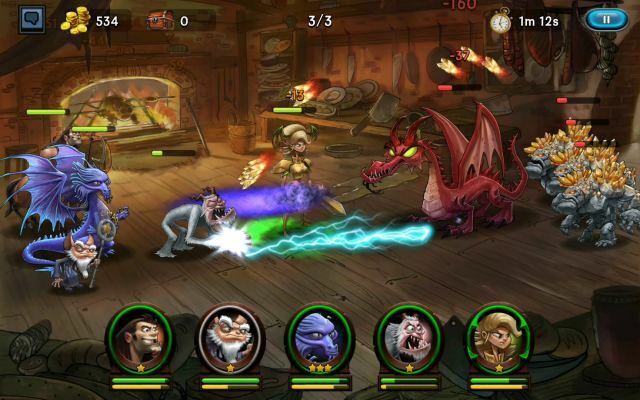 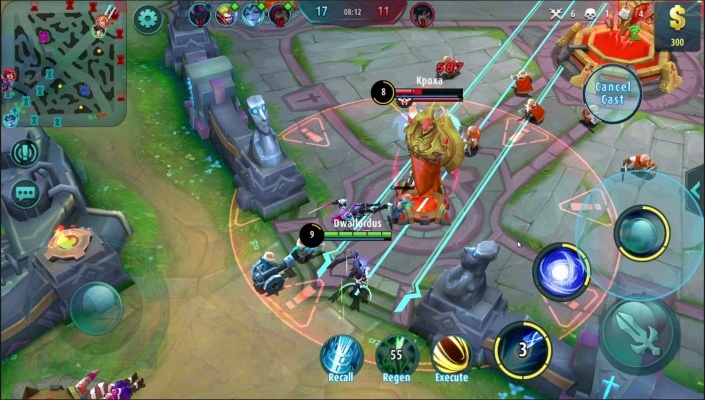 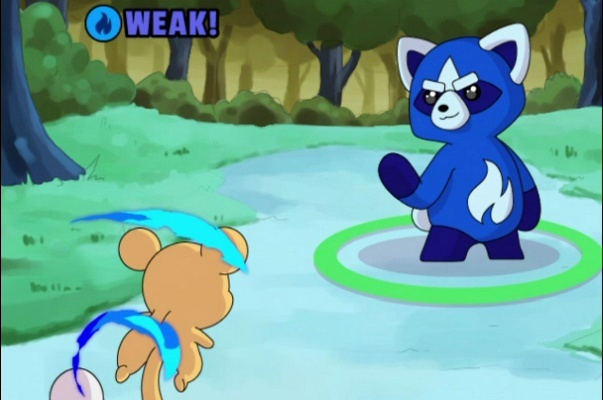 Adding protection and placing the buildings in such a way that your opponent won't be able to break your defence is an essential strategy to survive the fight.